I don't know Brazil very well, but I like Brazilian modern Pop-Rock music very much. It is based on Brazilian samba music, and is fused into Western Pop-Rock music. So it is very rhythmical and danceable thanks to this background. 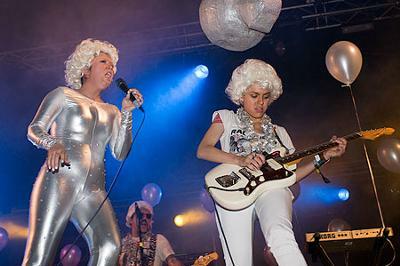 If you'd like an example of a Brazilian Pop-Rock band, CSS is my favorite band. In addition to the above-mentioned elements, this band has created their own unique electronic sound. And their stage clothes are vivid and eccentric. So we can be very amused by their sight and sound. By all means, please listen to them sometime whenever you get a chance. Thank you for reading.